Evolutionists just won’t admit that their evolutionary dating of dinosaurs has finally been falsified. After all, that would be like admitting that the Bible is right, and this is something that atheistic evolutionists will never do. Heavenly Father, without You opening the eyes of evolutionists, I know it is impossible for me to get them to believe. Open their eyes to the truths found in Your infallible Word, I pray. Amen. 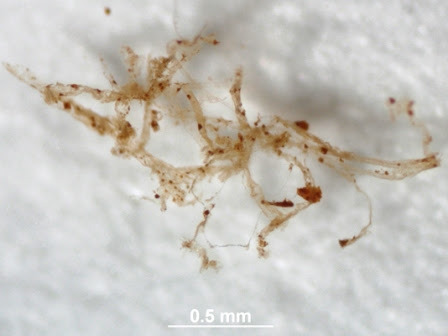 “Researchers Confirm Original Blood Vessels in 80 Million-Year-Old Fossil,” NC State News, 12/1/15. This entry was posted in Christian, Interesting Things, Plus and tagged Blood Vessels, Christianity, Creation, Creation Moments, Denial, Dinosaur, Evolution vs Creation, Evolutionists, Hadrosaur Fossil, Home School, Nature. Bookmark the permalink.